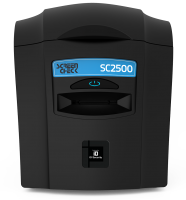 Learn more about all the major card printer brands on the market. Like many businesses, yours probably relies quite heavily on photo ID cards. One of the foremost names in secure identification card printing technology and application is Zebra Technologies. These snazzy machines come in a variety of colors and configurations and feature compact, attractive designs. One of the leaders in the ID and badge printing industry, Magicard offers a full range of printing systems to suit the needs of business. 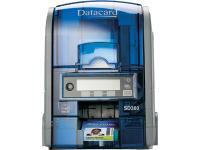 Datacard ID Card Printers are known worldwide for reliability and security. NiSCA Corporation�s outstanding line of ID printers provides exceptional value, durability, and selection for companies. Excellent printing with the Enhanced FINE� Imaging Technology Direct lamination mechanism for 8-second heat-up. When you are looking for advanced card printing capabilities, ScreenCheck offers a wide range of ID card printers for your requirements. Like many businesses, yours probably relies quite heavily on photo ID cards. Ordering ID cards from a supplier can be a very costly proposition; printing your own is a more economical way to go. If you're in the market for a photo ID printer, you should put Fargo ID printers at the top of your list. Fargo offers ID printing solutions for every imaginable situation, from elaborate, high-tech machines to simpler - yet very effective - printers. Learn more about what Fargo ID printers have to offer below. Fargo ID printers are manufactured by HID Global, an Irving, California-based leader in the ID printing technology. Smart card technology, issuance solutions, ID components, corporate access control, animal tagging and secure identity solutions are just a few of the key areas that HID Global specializes in. 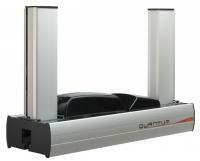 HID Global's line of Fargo ID printers are considered to be among the very best in the industry. Versatility - Single- and double-sided printing, lamination, specialized card encoding technology and several other options are available in the current Fargo ID printer lineup. Several of the top Fargo ID printers allow users to produce several different kinds of cards, acting as multiple printers in one. 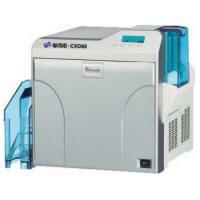 Variety - Fargo ID printers are available in a wide range of designs. Solutions for businesses of all size, shape and scope are offered. HDP and DTC Capabilities - High definition printers and direct-to-card Fargo ID printers are available. 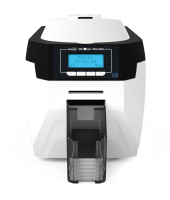 Cost-Effectiveness - Fargo ID printers are very competitively priced, and there is a printer that is suitable for just about any budget. One of the foremost names in secure identification card printing technology and application is Zebra Technologies. More than 1.5 million identification cards printed each business day are made by Zebra ID printers. 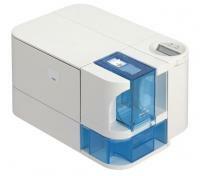 Zebra manufactures a wide range of identification printers with a variety of features. Economy models are ideal for simple laminated card printing for routine identification applications such as membership cards, school ID cards and other uses which do not specifically require two-sided printing or high volume processing. Industrial models designed for high volume institutional use can create critical security identification cards with embedded magnetic strips, RFID smart chips, holographic retransfer multiple laminate ID and access cards for Government and high security environments such as airports and secure facilities. High-value models are available which have options to include one- or two-sided printing, embedded photographs and outstanding graphics rendering that are ideal for low volume processing. Feature-laden with a quality name-brand camera, computer-aided graphics design templates, USB connectivity, 1D bar-coding and ISO-compliant magnetic strip encoding and a generous software suite make for a virtual turnkey ID card solutions. Mobile solutions for on-site labeling are also available. Industrial high-security tamper-resistant models are ideal for the most stringent applications. More than 25 million drivers licenses were printed on Zebra printers last year. Lockable card feeders and password protection are some visible deterrents to tampering or abuse. Software tracking and controls can be set up to audit use or document misuse of the printer. High volume printing of nearly three dual-sided cards per minute � 170 per hour � ensure high productivity and effective time management by reducing wait time during production. Retransfer plastic laminate technology produces printed plastic card media between laminate layers, providing enhanced security and allows three-dimensional objects such as magnetic strips or RFID chips to be integrated with the human-readable or machine readable 1D and 2D bar encoding. 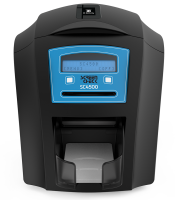 As with all Zebra ID printer solutions, a complete connectivity and software suite complements the product. 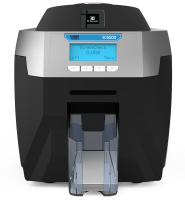 Zebra ID printer technology is far more than just the printer. It is a complete identification solution, seamlessly incorporating hardware, software and connectivity with the highest quality media production inks, laminates, inserts and photographic rendition for the highest quality images with exceptional durability and longevity. 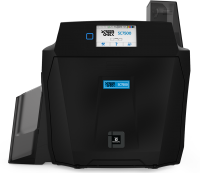 Zebra Technologies ID printers are the cost-effective solution for identification required to exceed the highest standards now and into the future. 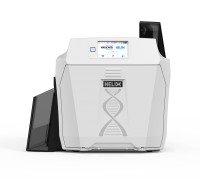 Form meets function with Evolis ID printers. These snazzy machines come in a variety of colors and configurations and feature compact, attractive designs. More importantly, they are capable of producing high quantities of topnotch ID cards within a very short period of time. 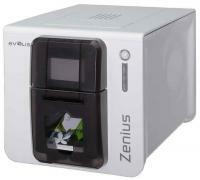 From the Zenius to the Primacy, Evolis ID printers are relied on by companies, corporations and other organizations around the world. Plastic card personalization is a snap with an Evolis ID card printer, whether you require a simple style or one with enhanced security features. Identify your students and staff at a glance with photo ID cards! Evolis employs nearly 150 people; each one is dedicated to producing state of the art ID card printers and plastic ID card solutions. Since December 1999, Evolis has been manufacturing some of the most respected and relied-upon ID card printers in the industry. Today, its global distribution network spans 91 different countries. Since its inception, Evolis has been dedicated to conducting continuous research and development, in order to produce the most cutting edge ID card printers around. Durability - Evolis ID printer ribbons apply protective varnishes to plastic cards, ensuring that they can withstand the test of time - no matter what you throw at them. Efficiency - Large volumes of personalized ID badges can be produced in no time flat, allowing you to get on with more important, day-to-day business matters. Quality - Logos, pictures and graphics are printed in a high-quality, 300 dpi resolution; you won't find clearer, crisper or more attractive ID cards anywhere. 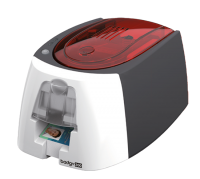 Flexibility - Smart chips and magnetic strips can be incorporated into personalized ID cards with ease; Evolis ID printers can handle bar codes, text, graphics and photos with dexterity. One of the leaders in the ID and badge printing industry, Magicard offers a full range of printing systems to suit the needs of business. Magicard has provided quality ID printing systems since 1993, making it one of the first companies to offer such services and an innovator in the industry. Magicard offers a full line of ID and access products including single and double-sided cards, proximity cards, smart cards, RFID tags, magnetic cards, and barcodes. Printers range from the Pronto value printer to high-end systems that can produce proximity and smart cards and offer cards with superior durability for outdoor or heavy use. 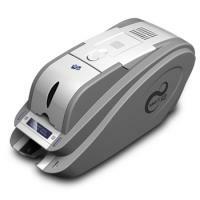 Datacard ID Card Printers are known worldwide for reliability and security. They have multiple programs in place that assure compliance with even the most demanding industry standards for all their products. Customers of Datacard are confident they are going to receive excellent products because Datacard has been awarded ISO 9001:2000 Certification. This award is only presented to companies that meet compliance with stringent quality standards and pass a strict review of production processes. As a company, Datacard strives to provide products and services that are what their customers want, with the important benefits of excellence and value. 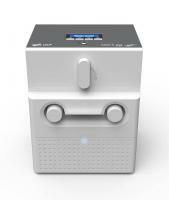 The company applies this philosophy to all Datacard ID Card Printers and accessories. Going one step beyond, the company has incorporated Six Sigma methodology into their production processes. Six Sigma is a concentrated effort by all employees to achieve higher quality output with less waste during every step of production. The goal is to obtain zero defects or errors. 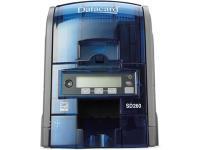 There are Datacard ID Card Printers for every purpose, including high security. Affordability is achievable through a wide choice of printers for every budget and purpose. Datacard ID Card Printers offer top quality ID card security and innovative solutions to satisfied customers who seek efficiently, quality, affordability and security. 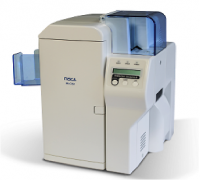 NiSCA Corporation�s outstanding line of ID printers provides exceptional value, durability, and selection for companies. NiSCA began manufacturing state-of-the-art ID card printers in 1994, and in 1995 achieved ISO 9001 certification due to the company�s high quality standards. NiSCA products also meet the requirements for ISO 14001 certification, indicating the company�s commitment to environmentally sound and sustainable technologies and practices. Today, NiSCA is a leader in the ID card and badge printing industry and offers a full range of upgradeable printers designed to meet the evolving needs of their customers. 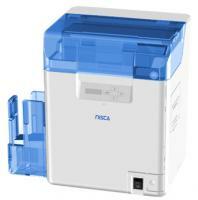 The NiSCA PR-C101 offers maximum ease of use for customers who want to start printing right out of the box. Compact and portable, the PR-C101 uses dye-sublimation printing and features a rotating LCD panel to offer maximum positioning flexibility. 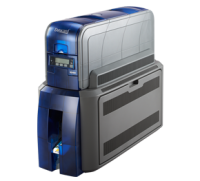 The PR-C101 is designed to allow replacement of the ribbon cassette and cleaning assist roller unit in order to maximize overall unit life, and is perfect for smaller offices that require a lower volume of single-sided ID cards or badges and do not require magnetic strip encoding or other security features. SMART series manufactured by IDP Corporation, is a highly engineered dye-sublimation ID Card printer which provides you with maximum efficiency for production of plastic cards in commercial and govern-ment applications. SMART series is designed to support a flexible user environment, which makes it easy to choose the correct printer and save money. You can easily add a flipper or laminator, for dual sided printing or laminating, and various encoders such as magnetic stripe, contact and contactless. 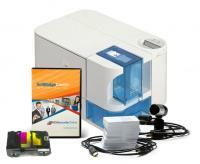 ​The enhanced FINE� Imaging Technology of the SMART series enables you to print high quality images. The SMART Series will be a perfect choice for Employee IDs, Membership Cards, Access Control Badges, Secure Government Credentials, Social Services Cards, and even the instant issuance of Banking cards. ScreenCheck offers a range of products and services you need to succeed. ScreenCheck create complete card management systems using full-featured ID card software and ID card printers from leading brands in the ID industry.